Hello, thanks for checking out my blog. In addition to my personal website I figured it's worthwhile to create a blog showing more up to date work. That being said, I'll probably post some old work once in a while too. This first post shows a design from back in 06'. 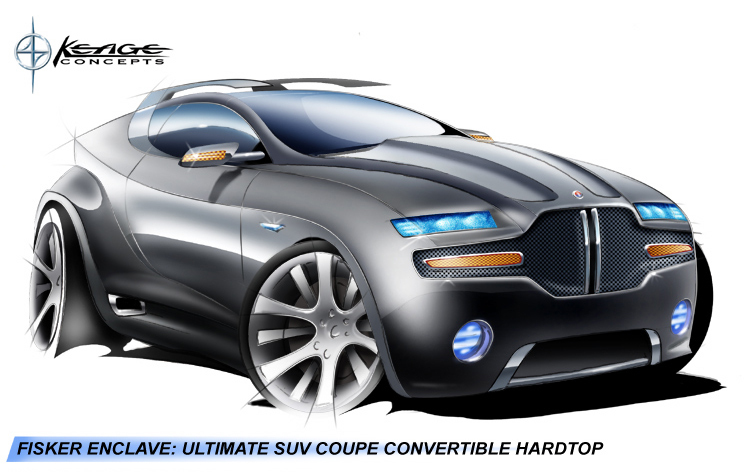 It was back when it was just Fisker Coachbuilding with the Tramonto and Latigo CS. 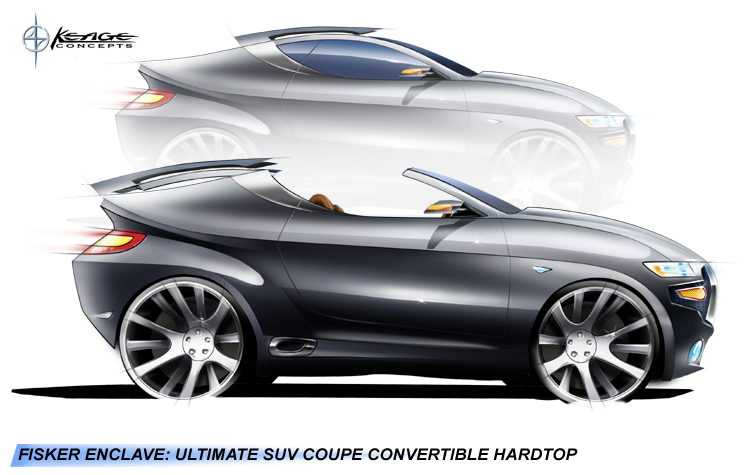 For fun, I thought I'd try my hand at a Fisker Convertible Crossover. (it was also before the Buick Enclave, good name). This is also before Motive Industries when I called my work Keage Concepts.